I'm looking to FIND events between Redlands CA. and Palm Springs I suppose. So many areas I would like to ride in with other riders. (safety in numbers) Are there any events or riding Meet-ups you might refer? What some people do is keep an eye on rides in surrounding areas that head your way then catch up somewhere along the way. Meetup leaders are usually happy to try to make it work within reason. 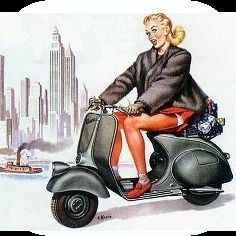 Have you checked out 909 scooter club on meetup.com? You are close to some amazing riding locations. This is a great tip. I will see if I can find the 909 Club. Yes. I've just moved out here and can't wait to explore on my new scooter.